By capitalising on the intersection between individual ability, the science of athletic performance and the latest technology, I work with each athlete to help them not only set, but also attain their personal sporting goals. Personal programmes are created for your unique level, fitness and available training time. Weekly feedback is provided using Training Peaks, to design, deliver and adapt each athletes programme. I coach athletes around the world - you only need a decent sports watch! Stephan is the Co-Founder of Wingman Multisport specialising in online coaching. A Sports Lawyer by trade, his multi sport journey took him from Ironman "bucket list" wanna-be-athlete to multiple Ironman finishes to coach. Leading by example through his dedication to training and continuous improvement, Stephan has built a core of athletes who have consistently been able to beat their personal best times at events. Cheerleader at heart, but firm in approach Stephan masterfully combines a data-driven approach with the wisdom and insights of his own personal journey to help you tap into your fullest potential. 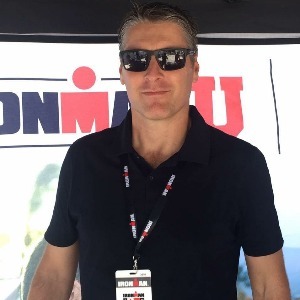 During 2015 Stephan qualified as an Ironman Certified Coach, the gold standard of Ironman coaching. Fully embracing the motto that “Genetics loads the gun, lifestyle pulls the trigger” Stephan’s coaching secret is a powerful combination intellectual know-how and unshakeable commitment to seeing you at the finish line. Success. Coach Stephan Weyers has been notified of your message.